My late mother was a Registered Nurse and the daughter of immigrants who believed in treating everyone, regardless of their ability to pay. She taught me early on the importance of health care. Our health care system is broken, and the Affordable Care Act (“Obamacare”), which simply makes health insurance mandatory, has failed to fix these problems. With Medicare for All, a system similar to Britain’s NHS, the United States can join the rest of the developed world in ensuring that all our citizens are given access to quality health care services, without a middleman. This will take away profits from unscrupulous insurance companies, and reduce health care costs. Prescription drug costs are also out-of-control and all prescription medications must be covered for all citizens under Medicare for All, with the United States government using it’s significant negotiating power on behalf of the health care needs of our 325 million citizens to end medical price gouging and ensure that everyone is covered. With Medicare for All, we will have a single-payer health care program that will allow people facing serious illness to focus on their health, without having to worry about sky high medical bills resulting in financial ruin. Medical Cannabis and other alternative treatments, like acupuncture, must be covered under Medicare for All. Veterans have put their lives on the line to defend the United States and serve our country, yet we have a system which provides substandard care that has resulted in avoidable deaths, infections, negligence, and additional stress for those who were put in harm’s way by our policy makers. Veterans frequently face difficulty receiving payments for service connected disabilities, and lack of proper care for psychological illnesses caused by war such as PTSD. This is unacceptable. The Department of Veteran’s Affairs must be reorganized, and a wide scale investigation must be undertaken to determine the causes of corruption, incompetence, negligence, and poor quality care, with those found to be responsible fired and where appropriate criminally prosecuted for violating the great trust our nation has placed in them to deliver quality services to military veterans. Veterans must receive world-class medical care, just compensation for service connected disabilities without delay, and access to specialized housing programs across the country to end homelessness of veterans. Those who have served face unique challenges, and it is a grave embarrassment to the country not to take proper care of those who put themselves on the line to defend the United States of America. I support the use of Medical Cannabis and MDMA-assisted psychotherapy to help manage treatment resistant Post-Traumatic Stress Disorder in Veterans through the Department of Veteran’s Affairs. Marijuana has been proven to be a very medically beneficial substance and is safer than alcohol for adult-use consumption. The misguided War on Drugs has been a failure, and has resulted in good citizens being unjustly branded as criminals, while the cartels have been enabled to flourish. It goes against common sense to arrest people for pot, and the voters of Alaska, as well as many other states have enacted state laws to provide for legal use of cannabis for medical purposes, and adult use as a safer alternative to other relaxation substances such as alcohol. Minorities and young people are most frequently hassled by law enforcement over marijuana possession and this is a waste of law enforcement resources, and adds to an environment of distrust between citizens and the police. While it is great marijuana is legal under Alaska state law, the draconian federal marijuana prohibition laws must be changed so that legal cannabis is no longer a murky area between state and federal law, with businesses struggling to gain access to basic banking services, and remaining under threat by overreaching federal law enforcement agencies such as the Drug Enforcement Administration (DEA), who are able to selectively choose to prosecute marijuana businesses and destroy the livelihoods of state-authorized marijuana business owners and cannabis industry workers. Alaska Native communities have long struggled with poor access to employment, education, health care, healthy foods, qualified police officers, transportation, and culturally appropriate mental health services. These factors have resulted in lower life expectancies, domestic violence, poverty, a breakdown of cultural traditions, mental health problems (such as suicide), substance abuse, and a general inability to continue the way of life that existed prior to Alaska becoming a part of the United States. 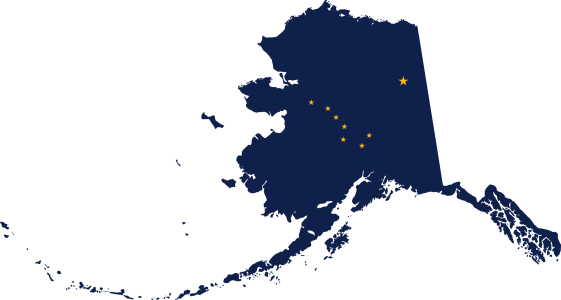 Through federal funding, we must provide job opportunities, culturally-affirming education and health care services, healthy fresh foods, qualified and accountable policing agencies, transportation to provide easy and affordable access for remote Alaska Native communities to travel into major cities such as Anchorage (as well as for tourists to visit these areas to create jobs). Alaska Native cultures, languages, and traditions must be preserved all in compliance with the United Nations Declaration on the Rights of Indigenous Peoples. As a hallmark of American innovation, the Internet has created countless jobs and has provided the ability for people of all income levels to affordably exercise their constitutional right to free speech. Net Neutrality means that all Internet traffic must be treated with equal priority. Recent moves by the Trump Administration mean that we can see the fair and equal access that turned the information superhighway into a global success fade away, and the Internet turn into a largely censored, and controlled selection of corporate websites, with limited (or no access) for regular people, non-profits, and entrepreneurs to share their ideas or build new technologies. The Internet is a road that we all must share, and it works best when every Internet user and content producer has equal access to the pipelines that carry our data. Additionally, we must ensure that everyone in the United States, including even the most remote, and isolated communities of Alaska all have access to high-speed broadband access to aid in the creation of jobs, access to information, online education opportunities, and even provision of health care services via Tele –medicine. We have a great country with a lot of technical ability, so there is no excuse for any American home not to be able to get onto the Internet at fast speeds. Given the great opportunities and advancements offered through this infrastructure, the government must ensure all Americans can get online quickly and affordably. We only have one environment, and we all must share it, as well as preserve it for future generations. Pollution from a variety of sources has already proven to be hugely damaging to human, animal, and plant health, with our delicate eco-systems having been disrupted. Climate change, plastics in our water, toxic waste, oil spills, and nuclear contamination are just some of the problems we all face with illnesses such as cancer (including childhood cancers) being some of the consequences for failing to protect our environment. We must have a robust Environmental Protection Agency to regulate activities that impact our environment and punish those who harm it. The Arctic National Wildlife Refuge is a pristine part of Alaska that faces irreparable harm by allowing oil drilling to occur within it, and does not even contain enough oil to impact oil prices nor end our national dependency on foreign energy sources, many of which come from nations hostile to American values. The only jobs we would see created long-term from such drilling would be environmental contamination cleanup jobs to attempt in vain to remediate the inevitable pollution and spills that would occur from such short-sighted drilling activities. We must work to harness the power of renewable energy sources such as wind, solar, and biofuels in addition to using recyclable materials to reduce our carbon footprint and attempt to begin a long road to healing the planet Earth, for both our current and future generations. As a Higher Education administrator for many years, I am all too familiar with the high costs of college education in the United States. While citizens of other countries are able to better themselves through the pursuit of higher education without becoming saddled with debt, in America our students are forced to take out huge loans in order to complete a college degree. While at one time, it was possible for Americans to get a decent job without a higher education, this is no longer the case, a college degree is the new high school diploma when it comes to hiring in most professions. In order for our economy to compete with other rising superpowers such as China and India, we must ensure our students all are able to go as far academically as their ability allows, without having to worry about how to pay for it. Our investment in higher education will be returned through better educated citizens earning more money and over their lifetime paying larger amounts of taxes, and having a reduced need for government welfare programs due to better employment opportunities. Alaska is limited in higher education opportunities, and the federal government must fund the construction of additional universities across Alaska, which would not only help keep our brightest students living in the state, but also attract students with great potential from across the United States and abroad to come to Alaska for education, and settle long-term to build the Alaska economy. As a former Flight Attendant who traveled the world and observed first-hand the situations in many countries facing political instability, as well as extreme poverty (where I always brought donations of needed items), as a retired NEA Union member Higher Education Administrator who worked with immigrant students, and on an emotional level as a mother, it breaks my heart to see people seeking refugee status jailed and children ripped away from their parents. My late mother, herself the daughter of immigrant parents, spent her final years in Mexico and had a great love for both countries. As the United States, we must do better to meet our international treaty obligations under the 1967 Protocol Relating to the Status of Refugees. I support non-custodial family housing in the community for persons with a pending asylum claim in the United States, as opposed to detention. I believe if done correctly it is possible to allow families to live together in the community, while ensuring compliance with the legal process associated with a refugee claim, and defend due process by providing access to lawyers for all refugee claimants. Donald Trump has made many poor decisions, and how he is mishandling the immigration issue is another example of his lack of competence and leadership. We must create a system where asylum claims are processed fairly and uniformly at designated ports of entry, to put an end to human trafficking organizations who victimize migrants and cause people to die in the desert. It is possible to ensure both national security and respect for human rights at the same time through the creation of an equitable immigration system that all Americans can agree on. Trump’s policies have failed to meet either objective. U.S. Immigration and Customs Enforcement (ICE) has been found to violate the civil rights of immigrants and must be abolished. We must restore our reputation as a global leader on human rights, and a safe haven for those fleeing oppression. Our society requires a system of law and order that is based on fair, equitable, and accountable policing, that respects everyone regardless of their race, economic background, or other aspects of who they are such as religion, sexual orientation or gender identity. American policing is overwhelmingly a white, heterosexual, and cisgender macho male professional culture. This must change, and policing must be moved towards a model of social work and psychology. Women, LGBT people, and minorities must be actively recruited as police officers in order to achieve police forces that reflect the diverse communities they are entrusted to serve and protect. If it takes a village to raise a child, one could perhaps say it takes the Village People to keep order in society. We need to embrace diversity to fix policing and build respect for the law across the diverse mosaic of communities and unique individuals, that together comprise the United States of America. In order to ensure respect for the law, it is paramount that police officers are held to a higher standard as role models for all, given that they are acting as agents of the government, and are accountable for their actions when they fail to meet these expectations of excellence in public service. With civilian oversight boards headed by civil rights organizations such as the NAACP and ACLU, we can make this a reality. We must reform our criminal justice system to ensure that prisons are reserved for those who truly cannot be rehabilitated within the community, and move away from a system of simply warehousing inmates that results in people leaving prison worse than when they came in, to an intensive therapeutic model where every day spent in custody will be a day spent transforming offenders into productive, law abiding members of society. Norway has seen great success with this model. The punishment of prison must be simply being in prison, with it’s associated loss of freedom, not additional violence and torture against inmates that leads to further mental health problems and acts of aggression in the community upon release. For-profit, private prisons must be abolished. It is illogical and antithetical to American values of equality and freedom to live in a society where corporate executives and those on Wall Street face no real punishment for stealing millions, while working-class people (particularly persons of color, due to racism) who make stupid mistakes (if they’re even truly guilty to begin with) can spend years behind bars for comparatively petty offenses . With “Three Strikes” laws, we have seen mentally ill and intellectually impaired people sentenced to decades of incarceration, at times where an appropriate sentence would likely be measured in weeks or months. Mandatory minimum sentences are ineffective and costly, we must allow judges to administer individual justice, in individual cases to make the best use of the limited resources of our justice system. Our current criminal justice system provides the best justice money can buy, with the rich benefiting from being able to afford skilled private attorneys who can achieve acquittals even when the wealthy defendant is in fact guilty, while poor defendants are pushed into plea deals by overworked public defenders, even when they are truly innocent. Justice must be equal for all. Many people find themselves in trouble with the law due to both untreated mental illness and drug addiction. Treating addiction as a criminal offense runs contrary to modern medical science which has recognized addiction as an illness that must be addressed via medical intervention. Unfortunately, the misguided War on Drugs has resulted in a black market where persons who are addicted end up committing theft offenses in order to fund their addictions, which keep violent cartels in business and cause harm to people in the community who are not even users themselves. The capitalist system operates on a model of supply and demand, and despite decades of prohibition, the demand for illegal drugs has resulted in a ready stream of suppliers looking to make a fast buck, despite the illegality of these substances. But because of the criminal penalties associated with supply and sale of illegal drugs, the black market prices are very high and cartels are willing to use frightening levels of violence to maintain control of the extremely profitable black market. While alcoholism destroys lives, because alcohol is a legal product, persons who are addicted to alcohol usually do not need to steal in order to buy alcohol, and do not face the same level of stigma when seeking recovery services. Other countries such as Portugal have moved away from criminalizing addicts and into a model of healthcare for addicts that has seen better results. With Medicare for All, police officers can become the gateway to treatment services for the mentally ill and addicted, while physicians can be given the opportunity to manage addicts on a controlled medical maintenance program with the goal of recovery, in order to put cartels and ruthless dealers out of business while getting addicts onto a track of sober living. While I personally would prefer if people didn’t abuse dangerous drugs such as opiates, it has been scientifically proven that a harm reduction model can reduce things like overdoses and halt the spread of blood borne illnesses such as HIV and Hepatitis, that create a risk to everyone in society (especially our law enforcement and healthcare professionals). With harm reduction, mental healthcare, community policing, restorative justice, and better economic opportunities for disadvantaged communities, we can address the root causes of crime instead of simply attempting to mop up the mess afterwards. I believe that while people can make mistakes in life, we must consider the fact that most people who end up behind bars will be released someday and will be living again in the community. It is up to society to ensure that when that day comes, we have done everything possible to ensure that they will be a productive law abiding citizen. Having personally been a victim of violent crime, I have no sympathy for those who harm others, but I recognize we must be smart on crime in order to achieve safer communities for everyone. Unfortunately, we can’t simply arrest our way out of these serious problems facing society, but need to take a more intelligent approach guided by science and mental health experts to make progress. Some of my greatest personal heroes are the Founding Fathers, and World War II Veterans, whom I have known and considered dear, close personal friends. WWII Veterans will always be the greatest generation and I have broken down in tears at Arlington National Cemetery during our final goodbyes. The Founding Fathers of the United States of America warned against becoming involved in foreign entanglements. This wisdom for many years protected America from falling victim to the endless bloody conflicts of war that historically plagued Europe and other regions of the world. Switzerland has demonstrated that even in modern times, a foreign policy of military neutrality and a domestic security policy that respects the privacy rights of citizens is a successful model for a strong country that is able to maintain security, a high living standard, and international respect. Our soldiers are our fellow Americans who have devoted themselves to serving the nation, and as policy makers, we must humbly ensure that those who have enlisted to defend our country are only put in harm’s way if absolutely necessary. Participation in unnecessary foreign conflicts has led to the inexcusable deaths and disability of countless patriotic Americans who enlisted in our armed forces while trusting elected officials to always make the best decisions. Sadly, in recent times special interests have abused this trust. As U.S. Representative for Alaska, I will ensure that we have a strong defense for America, while respecting the civil liberties of U.S. citizens. If we act respectably on the world stage, avoid foreign conflicts, and focus on building diplomatic as well as trade relations with the rest of the world, we can have our military here at home to defend America, in peacetime spending their days focused on public service projects and domestic disaster relief, while being trained and equipped to quickly repel any attempt at invasion by a hostile foreign power. American military bases overseas cost the taxpayer huge sums of money, while failing to serve the needs of our citizens. The Orwellian surveillance state that has turned inward to monitor the private communications of law abiding, and patriotic American citizens is antithetical to the United States Constitution which prohibits unreasonable searches and seizures. The ability of American citizens to communicate and travel privately without being subjected to dragnet surveillance, or violation of intimate parts of their bodies by TSA screeners at airports, is paramount to the way of life so many heroic patriots gave their lives to achieve. The intrusions into the private lives of Americans we have seen in the name of “security” are exactly the same kinds of oppressive acts that led the Founding Fathers to rebel against the King of England and enact the U.S. Constitution. Military neutrality abroad, along with the policy of a strong national defense, civil liberties, and enshrined privacy rights here at home will lead to an America of personal freedom that the constitution envisioned and the world will again envy. Instead of wasting the hard earned taxpayer dollars of our citizens on counterproductive wars, we can instead invest this money in things like education, healthcare, and infrastructure that will raise our living standard and honor the legacy of all those who fought for our freedoms, while avoiding the long lasting horrors of war. Women and LGBT people have long faced discrimination, unequal pay, and harassment. This is 2018, and it is unacceptable that these issues have yet to be addressed on a national level in the United States. President Donald Trump has sought to roll back the rights of women and LGBT people, as well as normalize sexual assault. We must enact constitutional amendments and federal laws that will put an end to all forms of discrimination and inequality based on gender, sexual orientation, gender identity or expression, and HIV/AIDS positive status. The United States must immediately ratify the United Nations Convention on the Elimination of all Forms of Discrimination Against Women (CEDAW). Our foreign policy must dictate equality for women and LGBT people as a condition of receiving foreign aid from the United States. We must expand access to confidential HIV/AIDS testing. Women in the workplace must have equal opportunities based on ability and achievement, therefore we must break the system of patriarchy. Women’s reproductive health care services such as access to contraception and abortion must be protected, expanded, and covered via a single-payer healthcare program, Medicare for All. Sexual harassment must be treated as an act of serious misconduct in the workplace. Gay, Lesbian, Bisexual, Trans people, and those of Alaska Native/Native American “Two Spirit” identities must no longer face discrimination, and with access to culturally competent health care options such as PrEP (preventative medication to prevent HIV infection) we can end the HIV/AIDS epidemic in America that has disproportionately impacted the LGBT community, as well as women of color and those living in poverty, and reduce health care costs by preventing new infections. Trans people must be able to use the restroom that corresponds to their gender identity and receive full health care coverage via Medicare for All, covering all medically necessary treatments without discrimination. If someone is in the workplace, securing a place to live, or otherwise living life in America, being LGBT should not be grounds for discrimination. LGBT students must have their rights protected and be supported for who they are in both K-12 and Higher Education environments across the country. Anti-LGBT bullying and sexual harassment must be treated as a serious violation of school rules under federal law, with clear reporting requirements. I am a woman running against a crazy old man with a history of violent outbursts in Congress (including brandishing weapons at other members of Congress and federal officials on the House floor) who is a sexist, homophobic, and transphobic bigot who has said that, “You can’t have marriage with two men. What do you get with two bulls?”. Well Don, it is 2018 and the Supreme Court of the United States has said that ALL Americans have the right to marriage equality, so this election is time to send Don Young off onto a political iceberg to drift away into the regrettable pages of history with other bigots of the past. Don Young will probably have a heart attack if a woman beats him, so make sure you vote for me! Carol “Kitty” Hafner for Congress!